Wind developers and the media are quick to tell you how Danes love wind turbines in their backyards. Just love ’em! 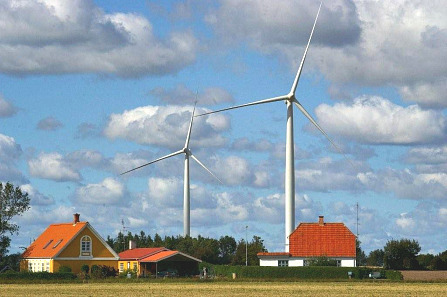 Denmark, home of the green giant, Vestas. 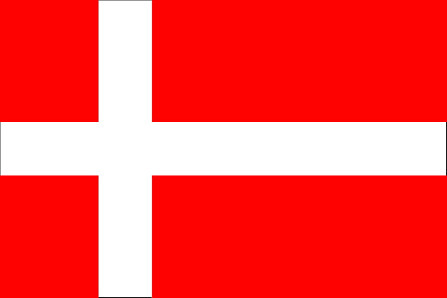 Denmark, host to the UN conference on (the lucrative industry of) global warming. These essays were translated by machine-software translation. Despite the somewhat rough translation, you get the message loud and clear. Vindmøller Syndrome speaks Danish just as much as it speaks English, French, German, Dutch, Norwegian, Polish, Italian, Spanish, Japanese, etc. We are neighbors to the national test station for large wind turbines at Høvsøre in Jutland. The closest wind turbine is 1,450 meters southwest of our property. We fought fiercely against the adoption of the test station, because we thought there were too many unresolved issues with the big turbines. That was in 1999 and 2000. Since the installation of the turbines, we have been plagued by low-frequency noise when the wind comes from the southwest and west. The noise sounds like and feels like a giant truck idling (its engine) in our driveway. We have not received any explanation as to whether the noise is harmful for us and our 1 ½ year old daughter. But experts agree that noise can be harmful. We have detected effects by wind forces from 6-15 meters/second. In addition, there is noise from the turning blades—this in particular at lower wind speeds—but this is not so dependent on wind direction. The most annoying is the hole (?) created in the noise when the blades pass the tower mill. It’s not just us who are bothered; even our horses and our dog detect the unpleasant sounds. Moreover, we are bothered by the visual pollution. Mills adorn absolutely not, and when they are so high that there must be lysafmærkning (lights?) on them, we can’t even escape the nuisance at night. Shadow flicker occurs when the sun passes behind the mills, especially in winter with the sun is low. The neighbors who live north of the mills have reported very large shadow flicker effects. These people have three layers of glass in their windows, with flashes of danger (?) around the entire house. We used to have large flocks of geese in the spring and autumn. These almost totally disappeared after the turbines began operation. Also, foxes and deer from the sheltered side of the turbines (?). We warn all who risk large turbines in the vicinity of that fight (?). To have large turbines as neighbors is inhumane. This is the Danish government with the force (?). “They have taken it from us, what we cherish most—the silence, the silence and darkness. I go out at night, I see the strong red light on the trees (?). We also see the red lights inside the house. How to describe midwife Britta Carlsson, 63, her problems with being neighbor of a new wind farm. Other residents in the immediate area around Oxhult Park in the forest by Hishult in Laholms municipality felt strongly affected by Arise Wind Power’s 12 giant turbines, of the type Vestas V90, with a total height of 150 meters. These residents are experiencing a significant deterioration of their quality of life. “So large wind turbines cannot be near residences. It is quite obvious. They are unpleasant to look at. The sounds are unpleasant, and the same for the shadow flicker,” said Dr. Torben Ishøy, who, among other things, has worked for Danish Red Cross in Afghanistan, and was released by the UN to the Balkans and Rwanda after the genocide of the Tutsis. He has also appeared in the Danish studies of the so-called “Gulf War Syndrome” after the first war against Iraq. In September, Torben Ishøy was shown Oxhult-park and so on from many pages. He had the opportunity to see and hear the wind turbines at both short and long distances. Torben Ishøy was in November with the conversations that form the basis for this article. “I can understand that people feel strongly influenced, and it is obvious that health care must follow developments closely. This is a new area which may affect human health. Long-term sleep disturbances are not to be trifled with, but could eventually also be other medical consequences which we have not seen a hint of,” points out Torben Ishøy. Sleep disturbances, insomnia and irritability. Generated by wind turbine noise, rotating shadows and flashing warning light. Feel they have lost the values which led them to live out into nature. Concerns for the future. Fear of being stavnsbundet [?] to houses that can not be sold, and to get even more disturbing giant turbines nearby. Conditions such as these have turned upside down the lives of residents with views of the wind farm, which was opened just after Easter. Until then, these residents could enjoy the silence, the silence and darkness of the night in the countryside around them. Within the area of the twelve wind turbines erected, the villagers were told that they practically would not see or hear them. From his house, Solveig Dalin, 55, now clearly sees nine turbines, she should not see much of. That was what she had to know. Admittedly, most wind turbines with a photomontage, as seen from her house. Lacking four, “as there was no room for the angle.” This photomontage, however, was not taken until long after there was consent and construction was almost underway. The reality was quite different. And giant turbines can be heard strongly in certain wind directions, although there are [setbacks of] 1000 meters to the nearest [turbines]. A month after the opening of the wind farm on the 5th of May, Solveig Dalin was found to have high blood pressure and is in medical care. “I sleep with an open window. Now I have into between sleep problems I never had before. I sleep, but wake, sleep and wakes. At certain wind directions, I cannot even go to the bathroom and get peace. For even in the bathroom you can hear noise from the turbines,” says Solveig Dalin. It makes the family’s goats did not (?). The sheep do not respond, but her goats feel bad. They have access to all the food they could want, but they do not eat, and they’d rather be in the barn. It is not allowed to have animals contained [inside?] the entire year. The goats must be forced to get out [of the barn], but they breaks through the fence and run back to the barn. Solveig Dalin is afraid that the goats will die. “Our udehund [dog?] has also not good and changed behavior,” she says. Britta Carlsson neighbors Solveig Dalin, and lives 1100 meters from the nearest giant windmill. “If you walk 25 meters away from the house, you see all twelve. They had not seen in because of the trees and did not hear her (? ), we learned when we spoke with the municipality,” says Britta Carlsson, who feels cheated by the municipality. From her house she had until six years ago a view of undisturbed nature. Now she can see the red lights. She does not like to see already when she is running (?) from her work in Laholm 20 kilometers from giant turbines. Both the noise and lights disturb her peace of mind. “Sleeping problems I previously had are certainly not improved. I can no longer have an open window at night because of noise, a sound I describe as the sound of an old dishwasher. I had too high blood pressure before the turbines arrived. Now it is higher. You become easily mistrusted, when we say that we have a sense of pain throughout the body. But it is how I see it,” says Britta Carlsson. Christina Johnsson, 46, is a taxi driver and lives about two miles from the nearest giant windmill. She’s lived here for 25 years. One night last week, in June, she was awakened by a resounding sound. She did not know what it was. It sounded as if a truck had run out of the way and gassede (?) and gassede to get free. But it was wind noise. From certain wind directions, she experiences it as very strong, although the distance to the nearest turbine is two kilometers. Because of wind noise, she didn’t get a lot of sleep over the summer. Her seven-week summer holiday didn’t help; her sleep disturbances continued. And she has not had any problems sleeping [before then?]. After not sleeping for several weeks, Christina Johnsson was so damaged that she went to the doctor. She got a prescription at indsovningstabletter (? ), took the first (pill? ), and slept till 2 o’clock at night. Then she awoke. The following day, driving her taxi, she was so confused she had difficulty navigating. Nor does a sick leave of four weeks help Christina Johnsson. Now she has been sent to a sleep clinic, to learn to sleep again. The reason for her sleep problems: wind noise. “It is certain that my life has been [made] worse. Moving to a second bedroom did not help either. It was rather worse off. And expanded wind farm to Kåphult on the other side of my house, it gets even worse. It can well be that we must have wind energy, but it should not be at human expense,” she says. I still want to cry when I read this. We are wind farm refugees from a wind farm in Italy.